HashGains is the leading cryptocurrency mining service provider in the world. Our team of professionals have strong faith in the future of cryptocurrencies and therefore working dedicatedly to make mining accessible to everyone, regardless of location, age, experience, and investment. HashGains is group company of 1500+ strong professionals and 2 mega data center’s parent Cyfuture with experience of over 15+ years in Data Center Industry serving 10 of 500 Fortune 500 Customers. Our crypto mining team came from different scientific disciplines and constantly monitor latest innovations and implement them in order to benefit investors. We have large-scale industrial data centers with state-of-the-art technology to host the diverse and complex mining environments. At HashGains, we’re using world’s best ASIC (Application specific integrated circuit) and GPU (Graphics processing unit) machines to generate best returns with high efficiencies. Our state-of-the-art cloud mining data center offers a great option of Bitcoin mining or other cryptocurrencies with minimal expense and risk. We stay updated about the major activities and players in the crypto mining space. For your queries, you can drop us a mail at [email protected] or chat with us. 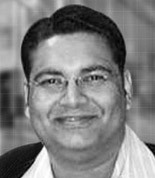 Anuj has 18 years of experience of working in data center, cloud hosting and the blockchain industry. He has been conferred with industry awards from the Government of India. 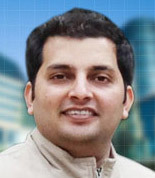 Anuj is a promoter of green energy and funded many renewable energy projects. These beliefs are in sync with the HashGains mission, which is to open crypto currency mining data center on renewable energy. 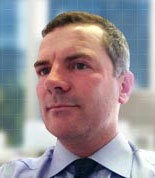 Gary is responsible for business development and managing client relationships in UK and Europe. Gary is a seasoned business executive with more than 25 years of experience across varied roles in finance, legal and business development across leading companies. He has helped build several large businesses across Europe and Asia in the past two decades of his corporate journey. 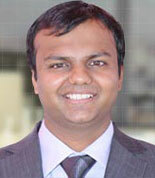 Ravish has 15 years of experience in service delivery functions. 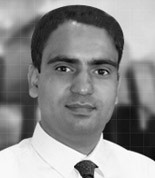 He is responsible for ensuring operational efficiency of service and has a proven track record of implementing operational excellence in every sphere of the process: expansion, cost reduction, customer & employee satisfaction as well as ensuring that the concurrent business goals are met within specific deadlines. He believes in individual’s right to freedom of choice, voluntary association, and self-governance. Worked on processes that involved active use of the blockchain technology. Munish has 10 years of experience and is responsible for all people processes and implementing the organizational human resources strategy. Munish is focused on continuous process improvements through performance driven learning and management solutions across departments. He is avid blockchain blogs reader and a cryptocurrency investor. What is Hashgains and how it works ? Hashgains provides the best cryptocurrency mining platform that mines the altcoins in the easiest way. Bitcoin is the internet money that has grown its value tremendously in the past few years. Now it's your time to join this billion dollars industry! It will take only 2 minutes.